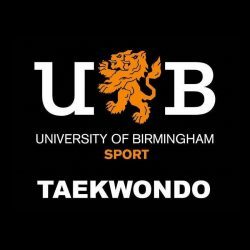 On 10-11th March 2018, University of Birmingham Taekwondo University of Birmingham Taekwondo Club competed at the 32nd Student National Taekwondo Championships at University of Worcester Arena, in both sparring and patterns. After an intense first fight ending in a sudden death round, Ismael Coulibaly then sailed through his remaining fights to win gold. Mark Elliot won an impressive two fights despite sustaining an early back injury, which eventually cost him his last fight to leave him with a hard-earned silver medal. Osanne Gbayere proved his skill by earning his second gold medal this term, having tasted his first victory one month ago at Lion’s Cup. 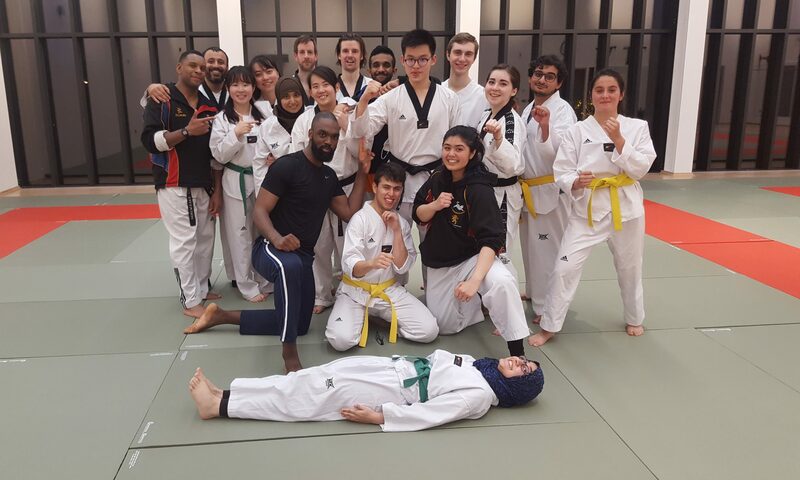 Joshua Munday, pictured above in blue, won the first round of his first ever Taekwondo tournament fight with a magnificent headshot.